This week I wish to share with you some thoughts about Spirituality. Spirituality is feeling the presence of the Almighty. Feeling this connection to the Almighty is the greatest pleasure a person can know. It is the pleasure we feel when seeing a magnificent sunset, looking from a mountaintop over the beauty of the Almighty’s creation — or seeing your newborn baby for the first time. These words were spoken by a well-known contemporary of Jesus, Rabbi Hillel, into which Jesus often engaged in discussion or controversy. However, on this particular subject, I am assuming that there would have been none. The statement is found in Chapter 2, Mishnah 5 when he said that an ignoramus or an uneducated person cannot be righteous. Nor can the bashful person learn (he is too shy to ask questions). Nor can the hot-tempered man teach. Nor can one who occupies himself over much in business grow wise (as he would have no time to study). And, in a place where there are no competent men strive to be a competent person. A boor cannot be sin-fearing, an ignoramus cannot be pious, a bashful one cannot learn, a short-tempered person cannot teach, nor does anyone who does much business grow wise. In a place where there are no men, strive to be a man. So why would Hillel, some two thousand years ago, declare that an uneducated person cannot be a righteous person? Two seemingly random quotes from distant sources speaking of spirituality and righteousness. Taking them in isolation, it would seem that anyone capable of feeling awe at the works of the Almighty can experience spirituality, but only an educated person can be righteous. Hardly seems fair, does it? How does one develop spirituality? First, learn Torah. How many times have you heard people say, “I just love John Grisham … or Hemingway … or Dickens? But they never met those authors! However, they read their books and intuitively love the author for his writings. 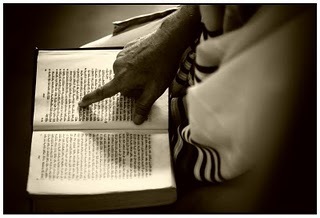 Ergo … read the Torah and love the Almighty! The doorway to spirituality and righteousness is knowing God by studying Torah, and in this instance, I’m going to include the entire Bible as “Torah”. The answer is that Hillel did not mean that the uneducated lack the desire to do good. It’s just that right actions require knowledge and people lacking knowledge will often not know the proper way to behave. God’s people should never use the feeble excuse, “well, we just don’t have time”. If God is the most important thing in your life and the Bible is His Word, one can only conclude that you need to make time! While study is thoroughly ingrained in religious Judaism, it’s something of a chore in many churches. 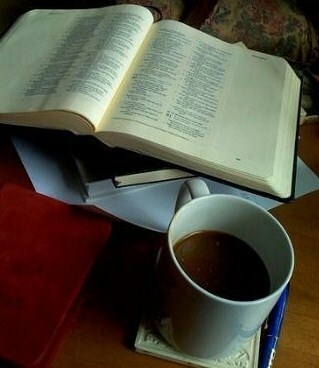 I was fortunate to attend a local Baptist church for two years where regular Bible reading and study was encouraged. It is true that I brought a different perspective to their ranks and one they ultimately could not absorb, but thankfully they continue to study and draw nearer to our God. But that’s not the case in many modern churches as Dr. Blizzard stated in the above-quoted paragraph. I study because I’m “built” to study. I completely enjoy reading and studying the Bible, so I don’t experience it as difficult or something to be avoided (which isn’t to say I don’t find study challenging). That means I can hardly take credit for my efforts as if I had overcome some personal obstacle or barrier with the goal of bettering myself. But for a lot of other folks, it seems like there are so many other priorities that get in the way, or at least those people organize their priorities differently (and notice that as I write, I am not also vacuuming the living room carpet or cleaning the master bathroom). Rabbi Packouz expands on this initial set of statements about the benefits of Torah study, including learning how to perform the mitzvot, which pleases Hashem and allows us to connect to Him in ways that otherwise would be unavailable to us. Of course, R. Packouz is writing to a Jewish audience, so in order for Gentile Christians to make use of his commentary, we need to adjust it to our identity and our unique role in the redemptive plan of God. With the permission of the heavenly assembly and with the permission of the earthly assembly, I hereby prepare my mouth to thank, praise, laud, petition, and serve my creator in the words of his people Israel. I cannot declare that Abraham fathered me, nor can I claim to be his offspring according to the flesh. For I am a branch from the stem of the children of Shem, Ham, and Japheth, like a wild olive branch grafted into a cultivated olive tree, in order to sprout forth and produce fruit in the name of all Israel. I quoted part of the “declaration” from Aaron’s book to illustrate what I said above, that Gentiles are unique and have a special role to play within the Messianic assembly and among all of the disciples of the Messiah. Have a constant awareness of our Father, our King, Creator and Sustainer of the universe. As soon you think of the Creator, you immediately connect with Him. Think of Him often. Everything you have in life, you have because it is a gift from the Creator. Be constantly grateful. This gratitude creates love. Respect each human being because each human being is created in the Almighty’s image. That’s the first ten of the twenty ways R. Packouz lists to connect with the Almighty. Notice that none of them are specific to either Jews or Gentiles (the same goes for the other ten). In fact, you could take that list of twenty ways of connecting with God into any church and I can’t see why any Christian Pastor or layperson would object to them at all, except they might want to substitute “Jesus” for “the Almighty”. Spirituality and righteousness all center around developing an awareness of God through the wonders in the world around us and specifically by studying the Torah. By studying the Torah however, we can go beyond “mere” awareness of God and begin to grasp who He created us to be and what we are expected to do with the lives we’ve been granted. While we Gentiles are grafted into Israel as a wild branch is grafted into a cultivated tree, that doesn’t make Gentile believers Israel. However, that also doesn’t mean we’re nothing either or that we are separated from God’s unique and chosen nation. Truly, truly, I say to you, a slave is not greater than his master, nor is one who is sent greater than the one who sent him. We see here that disciples of the Master are “grafted in” to him as a branch is grafted into a vine. That however doesn’t make any one of us Yeshua (Jesus), because he also teaches that we “sent ones” are not greater than the one who sent us. We are servants of the Master and slaves to the Most High. But if we are grafted into the vine of Messiah and are not Messiah, to extend the metaphor, we are also grafted into Israel and are not Israel. In fact, without the benefit of the covenant promises God made with national Israel and the Jewish people, we Gentiles would have no status or relationship to God at all. We are grafted in only by God’s abundant mercy to mankind, and by our faith in the accomplished works of our Master, the mediator of the New Covenant. Father in Heaven, I will rejoice in you alone, for you have sanctified me and drawn me near to you, and you have made me a son of Abraham through your King Messiah. For the sake of our Master Yeshua, in his merit and virtues, may the sayings of my mouth and the meditation of my heart be joined to the prayers of all Israel, and may they be favorable before you, O Lord, my rock and my redeemer. Although you are reading this on Sunday morning or later, I’m writing it near lunch time on Friday. My personal Shabbos Project will begin in a few hours and I hope to improve upon last week’s experience (and I no doubt will be writing about “Shabbat Observance 2.0” subsequently). 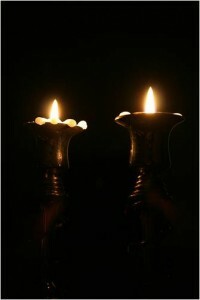 We all discover ourselves by the light of Torah, but what is illuminated is different for each of us. This is sometimes the difference between being a Jewish or Gentile disciple of the Master, but there are also many other distinctions. Although by necessity, I’ll be observing Shabbat alone, I know that it is designed to be celebrated in community. But there are ways in which we seek God that sometimes require that only the person and the Almighty be present. The Master sought to be alone often to pray, and yet he was also part of the larger community of Israel. When Paul became the Master’s emissary to the Gentiles, he was faced with the challenge of integrating Gentiles into Jewish communal and religious space, and that challenge remained before him for the rest of his life. While I agree that community is a vital part of a life of faith, it is only half of that life. The Master indeed said we were to love our neighbors as ourselves but the prerequisite for doing so was to love the Almighty with all of our heart, spirit, and resources. Holiness, spirituality, and righteous living begin with one person studying the Torah, praying, and developing a growing awareness of God in the world around that person. Sometimes those experiences can be shared, but in the case of we “Messianic Gentiles,” often they cannot be, except “remotely” via the Internet. But there’s nothing remote about God or the Torah. His inspired Word and His Created world are before each of us. Today they are before me and tonight, as I write this, so will the Shabbat. May the blessings of my mouth and the meditations of my heart always be pleasing before Hashem, my rock and my redeemer, and may I always be a faithful servant to my Master, Messiah Yeshua. I have an on-going struggle with #6. One of our granddaughters, five years old, has a rare brain cancer that has a 100% mortality. Did God give her this? Is it really for good? I understand that, Romans 8, God will use it and all other things to work as a whole for good, but this situation itself is not good. We see not just her but our son and daughter in law. The prolonged agony. What part of that is good? Does God love our granddaughter and her parents? Of course. Dearly and tenderly. But good? The actual thing that is happening? @Daniel — I can only wish for you and your extended family to be surrounded by supportive people who can help to ameliorate the inescapable pain of this calamity, and that your granddaughter’s parents will recover from it as quickly as may be possible. It is undeniable that the world is broken, and suffering is real. If ever there was any doubt of that, the Holocaust should have been a sufficient reminder, though there are numerous other current examples from which to derive the point. Can pain and suffering and destruction of various kinds ever be deemed “good”? Perhaps not, but they can be deemed as having the potential for some other good to be developed in the lives affected by the evil, if these individuals can turn themselves toward HaShem’s provision of such alternatives. For some, such events can become impetus for finding solutions that prevent such calamity from occurring again. For others, they may impel development of ways to ameliorate the suffering that cannot be avoided, and ways to strengthen and restore the affected individuals who survive the loss of loved ones. And there are numerous unknown worse possibilities that may have been avoided by whatever event actually did occur, though no one may be expected to take much comfort from the notion that “it could have been worse” in some way. The positive side of this is to focus on the questions of how any given situation might be made “better” or prevented from becoming any worse. All of these carry the potential for some degree of repair for the broken world, and all of us bear the responsibility of that assignment though some seem to bear harder tasks than others. The story of Job contains the element of recovery from undeniable multiple calamities, for a man who could say, when his situation appeared to be at its worst: “Though He kill me, yet I will trust Him”. In Job’s story, a rationale and a cause is provided for the evil that he suffered. In real life, seldom is that perspective available, though an attitude of trust can be just as effective toward recovery. Meanwhile, we may hope that someday we may be given the ability to see as HaShem sees, that we might be comforted against the suffering that we and those around us were required to endure, that we may understand in what way it also was for good to be accomplished. I guess that’s a combination of 4 and 6 really. God; the pain on more than one level. I hear you, Daniel. And then there are things that people DO that God allows. Don’t know what to say. Our obsessive love for G-d that pulls us ever closer to Him, permanently falling in love with our Beloved is what connects us to Him. Those of us that love YHVH and Mashiach Yeshua find ourselves ever more focused on our Beloved. Acting in response to that obsessive love, thinking of, and speaking to our Beloved should be natural to us, but the actual dynamics, the prayers, and meditation are a learned process. We must begin somewhere, and set time aside, until we acquire the habits that connect us to and glorify G-d and our Saviour Yeshua. It does seem though that once begun in this way it is like a rough stone that falling down a mountain of snow collects more and more snow. That one prayer a day turns into two, and then three, and ten minutes to a half hour, until one day, you find that every other moment you are seeking G-d or remarking to G-d about every detail of your life, and are in constant communication, or meditation, or explanation of G-d and Yeshua. Tragedy does not stop the process of our connection to G-d…it just alters the subject of our pain. This life is a temporary schooling process that we all must graduate from by leaving the natural body behind, and even in G-d, during this life the pain of our losses do not stop. If we are not decaying or disintegrating due to age and illness, those nearest us are being attacked by the Adversary, and caused to be in pain and struggle and suffering. G-d allows it, but this was not His desire for us. In His gift of free will, of volition to do as we choose, by Adam’s single bad choice the entire universe was changed to allow our choices to affect us, and the world to degrade…including our bodies. Even as we deal with our choices, and the effects of other people’s choices upon us, we also must deal with the constant breaking down of all life and matter. It hurts so painfully, and makes no sense in your feelings when you are heart to heart with G-d, and are expecting favour because of that connection. In our daily, hourly, minutely connection with Abba we must offer up our pain to Him, and remember that He too has suffered, with all of us, His children, and in the deliberate sacrifice of His son, Yeshua. It does not make us feel any better, or have less grief. But our constant connection to G-d can offer us the comfort of G-d sharing in our pain and sorrow and mourning, by the reminder that He too is suffering our dreadful situation. He shares in our griefs as well as our joys, and offers those that trust Him a reunion with those we lose that loved Him, or were innocent of any sin, and the gift of His own tears as comfort. @James – Great insight on ingrafting! @Daniel: “This too is for the good” isn’t a very simple statement any more than “Count it all joy.” I can’t imagine that God is so “above it all” so to speak, that He is uncaring toward your granddaughter and doesn’t, in some way, share in your grief. The only thing I can say is that we live in a broken world where brain cancer can happen, even to an innocent child. There’s no way for any compassionate person to avoid feeling pain, confusion, and even anger. But after we’ve exhausted all other options, we can either blame God (although He’s not the one who broke the world) or cry out to Him for mercy. @Marleen: Your link leads to a page with a lot of videos to select from. Not sure which one I’m to select. @Questor: Abraham said “I am but dust and ashes.” I think that sums up humanity and our relationship with God. It’s called “I Am The Vine” and has an arrow in the middle. The multiple choices are lining a right-hand column and are smaller. (the large single rectangle at the top). The content goes for approximately four-and-a-half minutes. First, there are words that seem like NT (and they are significant) with tonal sounds in the background. At 1:25 in, this begins: “God’s message came to me, Ezekiel: Son of man, how would you compare the root of the vine with the branches of any tree you’d find in the forest? Is vine wood used….what is it good for, than to bear fruit?” At 1:50, music starts; at 2:19, a song. It all ends with scripture on screen.